These days without accident signs reinforce safe work practices for up to seven different teams. Each 2.3” display tracks the number of days worked safely. 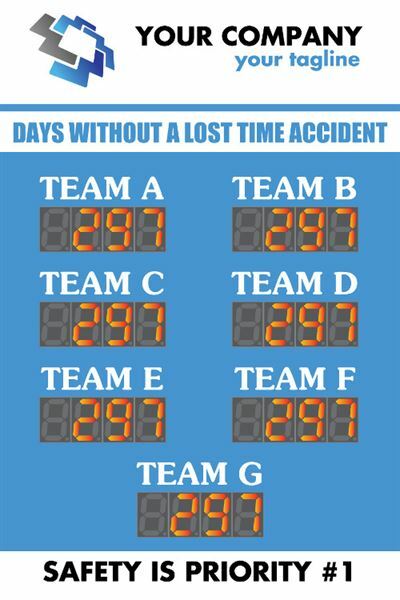 36"h x 48"w Days Without Accident Sign with Two 5" 4 Digit Displays.